Our ReadyRosie team of educators and family specialists studied this framework with school districts and community organizations beyond Head Start and believe that this way of viewing our data is essential to realizing true family engagement in a holistic way that honors the role of families. We are confident that our non-Head Start partners will find this a powerful way to show and tell their own story of improving and increasing parent and family engagement. So what can you expect? Every ReadyRosie video is now aligned to two separate sets of outcomes: Learning Opportunity Outcomes and Family Learning Outcomes. The Learning Opportunity Outcomes are categorized based on Head Start ELOF, Common Core, and state-specific academic standards and address the domains of Health and Well-Being, Social-Emotional Learning, Language and Literacy, and Math. More details on this data to come in Part Two of this series! 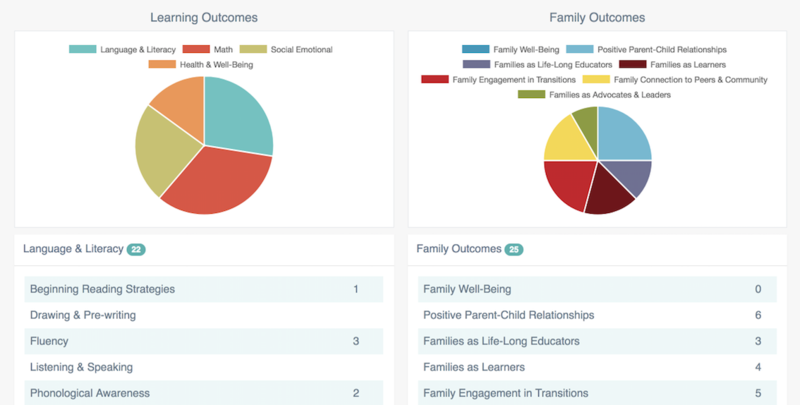 While the Learning Opportunity Outcomes will be appealing to centers and schools, we think you will be just as excited about the data now visible for the Family Learning Outcomes and will resonate as we have with the desired family outcomes of the PFCE Framework. In the coming weeks, we will be sharing ways to use this data view to report on how your entity is partnering with ReadyRosie to integrate this framework. But first, we want to share our process by which we reviewed each of our 1200+ videos according to the PFCE Examples of Family Progress and considered how each one contributes to impact on the whole family. FAMILY WELL-BEING Parents and families are safe, healthy, and have increased financial security. Our ReadyRosie users are exposed to families integrating fun activities that support safe environments, movement incorporating exercise, and modeled peer to peer videos that support healthy food choices. POSITIVE PARENT CHILD RELATIONSHIPS Beginning with transitions to parenthood, parents and families develop warm relationships that nurture their child’s learning and development. 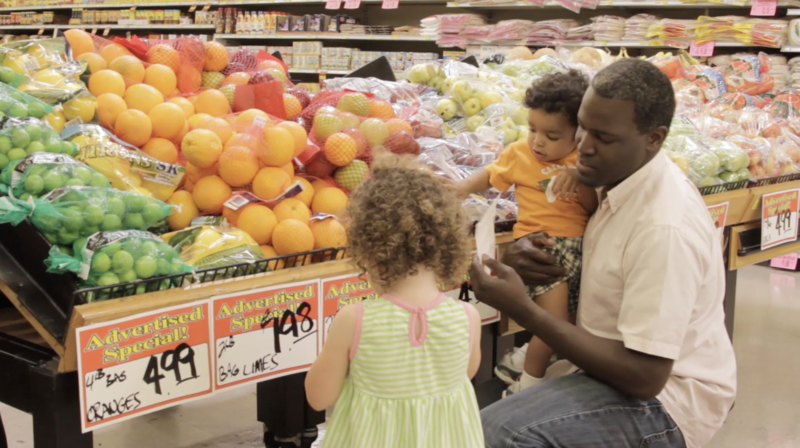 Our ReadyRosie expert videos demonstrate integrating fun, non-threatening activities that demonstrate families and fathers as nurturers talking and playing with their children ranging in age from infant, toddler and pre-school, and early elementary. FAMILIES AS LIFELONG EDUCATORS Parents and families observe, guide, promote, and participate in the everyday learning of their children at home, school, and in their communities. Our ReadyRosie videos demonstrate families observing, guiding and promoting fun in various environments such as home, school, and in the community motivating children’s love of learning. FAMILIES AS LEARNERS Parents and families advance their own learning interests through education, training, and other experiences that support their parenting, careers, and life goals. Families are always learning. Our ReadyRosie videos demonstrate various fun activities that support parents learning how their child responds and the parent’s role in teaching and learning. FAMILY ENGAGEMENT IN TRANSITIONS Parents and families support and advocate for their child’s learning and development as they transition to new learning environments, including EHS to HS, EHS/HS to other early learning environments, and HS to kindergarten through elementary school. Our ReadyRosie library provides Research and Answer videos from experts in the child development field that provide guidance and reassurance in support of transition from EHS to HS and HS to Elementary School. FAMILY CONNECTIONS TO PEERS AND COMMUNITY Parents and families form connections with peers and mentors in formal or informal social networks that are supportive and/or educational and that enhance social well-being and community life. ReadyRosie integrates fun activities taking place in formal and informal settings that families can relate to such as parks, grocery stores, bus stops, doctor offices, and neighborhood walks which promote new learning. These learning opportunities strengthen the capacity of families to support and engage in their children’s education and healthy development. FAMILIES AS ADVOCATES AND LEADERS Parents and families participate in leadership development, decision-making, program policy development, or in community and state organizing activities to improve children’s development and learning experiences. ReadyRosie supports the push to build peer networks, link families and children to needed services, and support successful transitions for children and families. 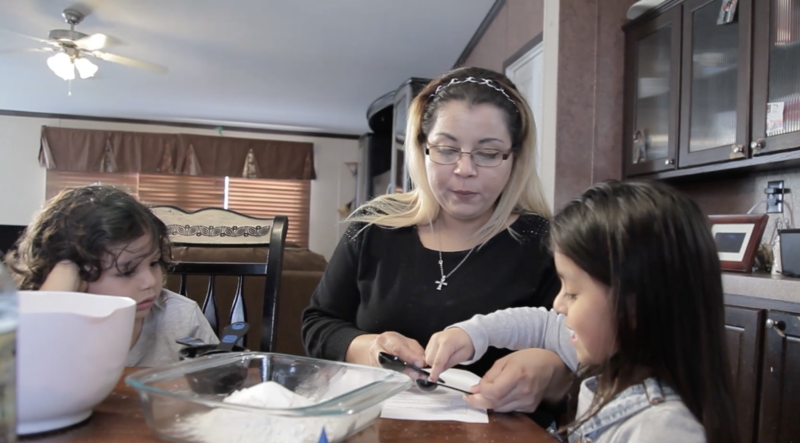 In addition to our Ready Rosie Research and Answers Videos, families also can attend Family Workshops that are designed to help build relationships and increase self confidence. So, what do you think? How will this alignment of the ReadyRosie modeled moments videos to the PFCE framework support you in strengthening your Family Engagement practices? How will this help you demonstrate family engagement that supports children’s outcomes? We want to hear from you! Please contact us with questions or ideas at info@readyrosie.com .